We're sorry, but it's true. It's bigger in Texas. 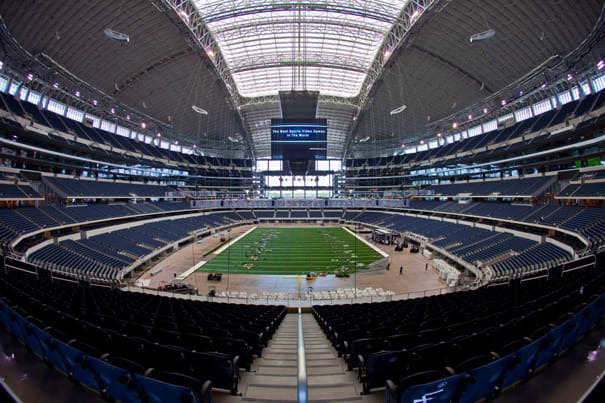 Fresh off its first season, the largest domed stadium in the world (also featuring the biggest HD TV in the world) continues to wow Cowboys fans and haters alike with everything a modern football mecca can be. The Super Bowl's gonna be there this year and the Cowboys won't—even more reason to check out the big game!